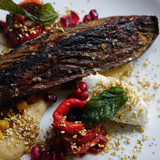 Jar Kitchen is a contemporary restaurant that sees head chef Dominik Moldenhauer create a range of exciting British dishes throughout the day. 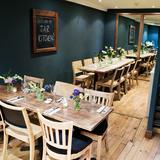 Dishes at Jar Kitchen may include ox cheek and cheddar croquettes; and house made tagliatelle, braised beef. Jar Kitchen also features a carefully crafted wine list, craft beers and and a small selection of cocktails. 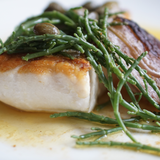 "Independent restaurant using fresh & seasonal British ingredients cooked up by Dominik Moldenhauer (ex Heston Blumenthal’s Dinner). Enjoy Top Wines, cocktails, craft beers or Monmouth coffees in a relaxed environment at reasonable prices. Open for breakfast, lunch, pre theatre and dinner. " 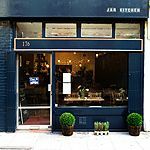 What did you think of Jar Kitchen? Amazing food and great location. Staff are super friendly and interiors are to die for!! Would recommend lunch or dinner plus cocktails! Brilliant addition to the area. There are not enough individual quality places such as this in the West End. A nail out of the dying independent restaurant scene. Great food, service and atmosphere. A fantastic new addition to a street that needed a bit of style and taste. Great value for great food. Great British food, excellent coffee and friendly staff.